Selecting a gift for a 14 year old teenage girl is not an easy job. It takes time to search for a suitable gift that is usable and will make her happy too. However, you really cannot tell what exactly would be the best for a gift for a teenager. What was in yesterday is out of fashion today. The same goes if you buy something today it may be out tomorrow. 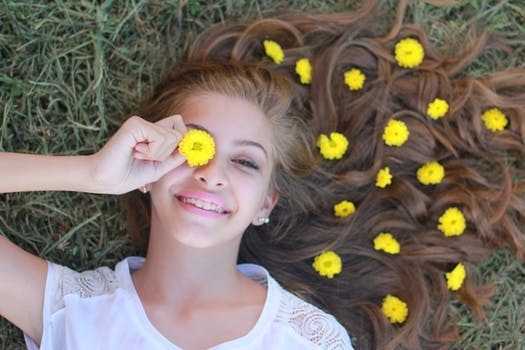 So, to help in your search for the perfect present, check out the gifts listed below to find a wide range of items which are loved by teen girls. There are various types of gift items for birthdays, Christmas and any other special occasion. Moreover, there are gifts to suit all budgets, ranging from under $10 to somewhat more extravagant gifts. You’ll find our suggestions listed here with their title, some information about the gift, then the pros and cons of the item. We’ve also chosen a wide range of gifts, so whether your teen is into tech or beauty there is sure to be something she will love. There are a few things worth keeping in mind when thinking about what to buy for a girl aged 14. The most important is to think about what her likes and dislikes are. This can give you a good clue as to what she might like to receive as a gift. For example, if she loves beauty and looking her best, make up brushes and clothes are great gifts. Sporty girls might like a new gym bag or water bottle. Also think about the budget you have available for the gift. If you have a lot to spend, you can choose something more expensive such as a new piece of tech or some trendy sneakers. If you’re looking for a little stocking-stuffer type gift, don’t worry – we have you covered. Below, you will find our picks of 21 great gifts which will appeal to girls aged 14. There is something to appeal to all tastes and personalities here – you’ll be spoiled for choice! Wall signs make great presents and last a lifetime. This is a great gift item to remind her of your love and empower her with great captions. As well as hanging the plaque on the wall, it can also be stood up on a desk or leaned against the wall. 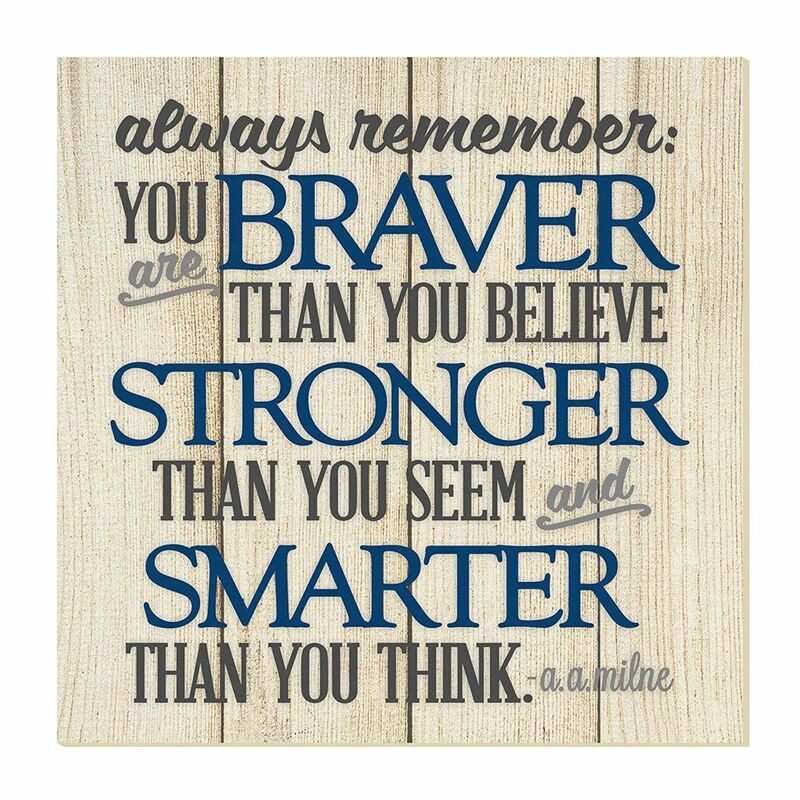 This is a great piece of art to encourage your teen during the difficult adolescent phase in life. 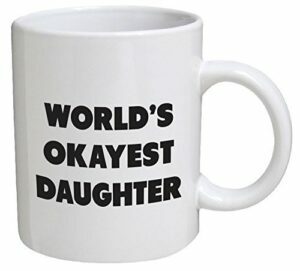 Simple gift to tell your teen how much she is loved. Great encouragement for a growing teenager. Made of strong wood-like material. No stand for use on a desk so may fall over. Very simple as there is no framing/ decorative border, etc. 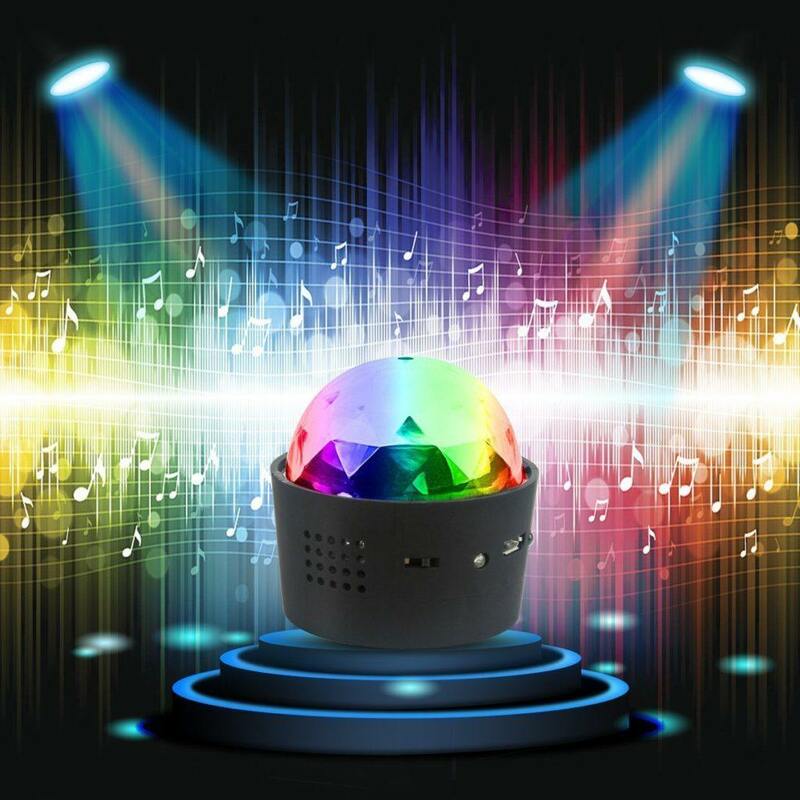 This amazing portable multi-colored disco ball is powered by a USB, so it can easily be connected anywhere. It is suitable for any occasion like a Christmas or birthday party and girls will love to use it on a sleepover with their best friends. It is environmentally-friendly as it doesn’t consume much power. 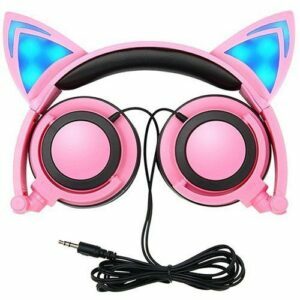 It is one of the best electronic gifts for girls and it comes at a reasonable price too. Burning time for 10000 hours. Plugs into any USB port like mac-book, laptop, etc for use anywhere. Small size so you can carry it to a friend’s house. Use it to light up poolside, pajama party, disco night, dance party, etc. It can be used indoors and outdoors and lights up area up to 16 ft outside. Not waterproof so can only be used outdoors when it is dry. This timer comes with two color variations – purple and blue. The hourglass clock is made of glass and the stands are heart – shaped. The three pillar stands have a shimmer on them, making this ideal for girly-girls! 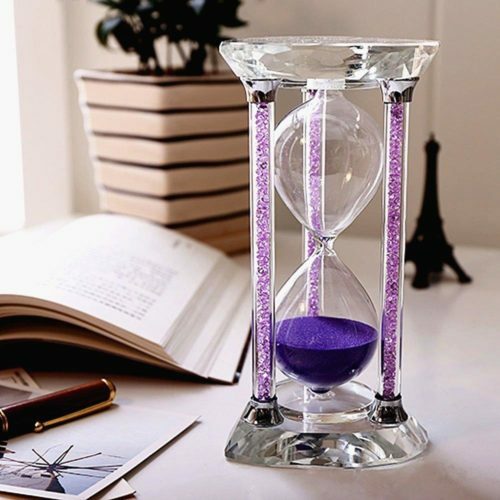 As well as functioning as a handy 30-minute timer, the hourglass can also be used as a paperweight on the study desk. The timer can be used for just about everything, whether it’s planning study sessions or enjoying more fun activities. Useful gift that has many purposes. It is made purely from glass and may break easily. Care has to be taken during shipping and unpacking. This is a great gift in this age of smartphones. It is the best gift for a 14 year old as it is convenient and can be plugged in anywhere. 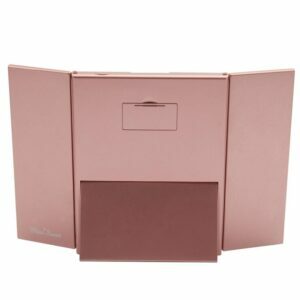 There are two color variations, space grey or rose gold, the latter of which is likely to really appeal to teen girls. It also has a built-in USB charger suitable for iPhones of various generation, from 5th onwards. The base features suction grips making it non-slip. USB cable is 3 ft long so it can be reached easily. 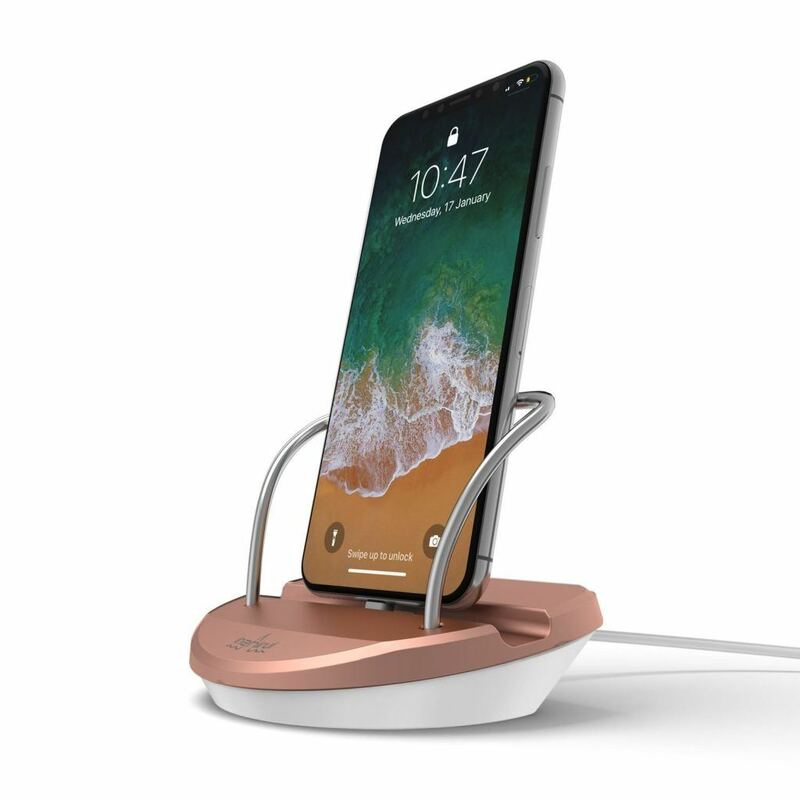 Charging dock made from stylish aluminum. No need to remove the phone’s case for charging. No charging adapter or external plug included. Only supports cases 2mm thick or less, so sometimes have to remove the case to charge the phone. Base needs to be cleaned often to keep it in good working order. This is an innovative gift that you can gift a boy or girl aged 14 years old to place in their room. It can be used as a ladder, however it looks great as a storage piece. You can put towels, hand-towels, newspapers, or anything that fits. Can be stood up against any plain wall. 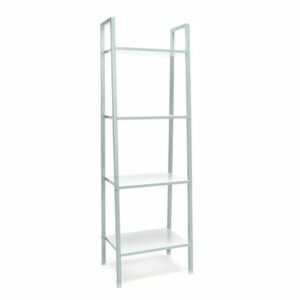 It is a great portable storage ladder to carry it to any room. It comes with five stylish rungs or bars to put thins on it. It is not that heavy so the average person can lift it. It is nearly five feet tall but if you put it on the wall, gets short. Would be good to have a stand so it stands on its own. 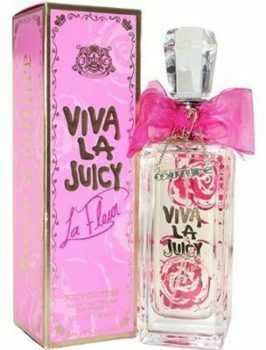 This juicy couture toilette spray makes one of the best gifts for a girl entering teens. You can gift this to your best friend’s daughter, or buy one for your younger sister/ friend, or yourself too! It is the best companion especially if she is going for school celebrations & proms or on a holiday / excursion trip. It suits young girls of all attitudes from all over the world. This is the best surprise gift that she will love and remember forever. If the 14 year old is a water sports enthusiast or loves swimming, diving, she will love this gift. The HD Camcorder selfie shooter is great for both spot pics and video shooting / recording. She will love it if she is a water geek as it comes with waterproofing case. It makes an ideal companion while camping, cycling, at birthday parties to capture every moment. There is a 2 inches display screen along with various multi-functions. So this is a great gift to remember forever. It comes with usb interface and supports Android/ iOS & Wi-Fi, and up to 32 GB memory card. 2 rechargeable batteries are included in the kit. Each battery gives 90 minutes of recording. memory requires pre-formating before use to store pictures. Have to charge the battery for almost 2 hours. This amazing daylight lamp that glows resembles the moon and it feels like the moon is in your room! It makes an extraordinary gift for anybody including a younger teen of 14 years. There are amazing features with 3 different shades that light up on touch. 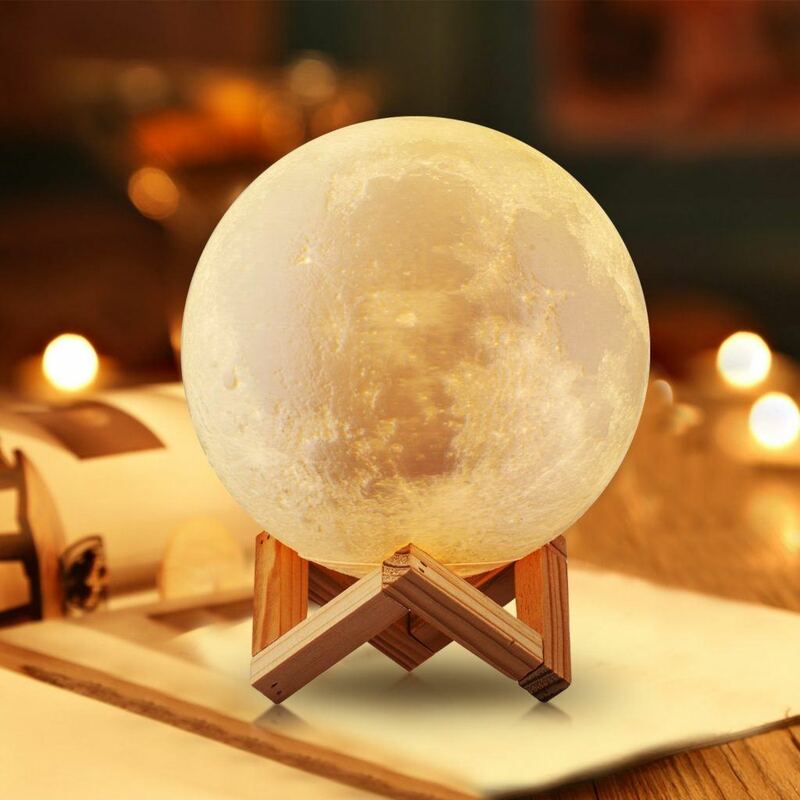 There is a wooden stand for the glowing moon. It is portable so you can carry it around to put it on your writing table, desk or bedroom. Great product at a reasonable price. The battery is rechargeable so don’t worry about replacement. The realistic look of texture just like the moon. Color could slightly vary from the website. Slight difference in measurement by 1 to 2 mm. This is a suitable gift for age group from nearly 10 years to adults if you are artistic and like creative designs. It comes with power adapter, a user manual and two random color filaments. There are 10 additional filament refills available at extra cost once this gets over. If the teenager likes 3D paintings or creations then this doodle pen is an ideal interesting and exciting gift for her. Reduced risk of burning or injury because of MIIW Low-Temperature 3D Pen. Uses environment-friendly material that is bio-degradable renewable sources. Safe & Does Not give pungent odor when transferring into 3D pen. In-built ceramic nozzle & PCL filament at low temp. No risk 1 year replacement policy. Takes one minute to load filament. Too many buttons & functions can make it confusing. Requires time and practice to get familiar with it. Before you are preparing for your board exam it would help you especially for your pre-algebra classes. 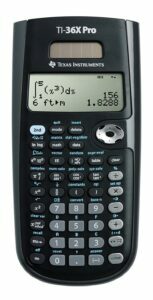 It performs many calculations including fraction conversion of both types and others like number +pie, etc. It is a great product for a reasonable price so it is a good investment as a gift for a year old girl. Good for simple algebra, developmental maths, and chemistry. Different colors to select from though it may vary slightly. Some products arrive in not original packing with different brand. Customers say it looks scratched and not clean & color not attractive. Does not arrive in a calculator case. This makes an ideal gift for 14 year old girl. It could be for any prom/ special / fun occasion/ Halloween, or causal evening wear. Make others laugh with the 3 in 1 winter wardrobe essential. 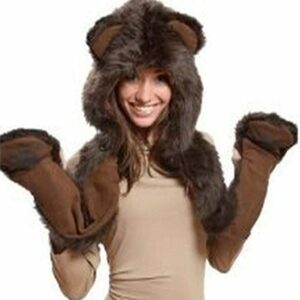 It covers the head, hands and paws to keep you warm and looking like cat or bear! There are various colors including ‘snowflakes’, white etc. It also has different animal skins/ furs like grizzly bear, snow-leopard, leopard, wolf, etc. Reasonably priced for the variety of different furs & colors. Same piece for scarf, paws, and neck. Do not use mittens and you can wrap it around stylishly. Different designs to select from. Have to couple it with jacket/ woolens or tees. This is an amazing item to gift to a 14 year old teenage girl as they would require several pairs. This comes in various colors and funky casual designs including butterflies, honeybees, cupcakes, unicorns, etc. It fits girls with feet sizes from 5 to 10 in a snug and comfy fit. These colorful knee length socks is good for any climate and will go with sneakers, kittos, or any open/ closed footwear. Sock material is 70% cotton so it is most comfortable. Team it up with any pair of shorts, skirts, and suitable footwear. Length & width is great but foot size may differ. The remaining material uses 5% spandex & 20% polyester. This is a fun-filled unique gift with nerdy quotes on the tea/ coffee mug. It makes a great gift for use and to keep as a showpiece or on study table. There are two options of 15 oz and 11 oz (prices differ) it is a white mug with black big captions to read. Usable as pen-stand, or to store study table stuff/ cookies, etc. Designs and quotes on mug gets updated so this may go .. Order soon! 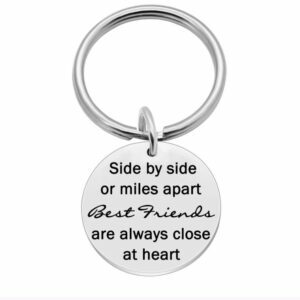 This metallic keychain is best for friends or as a friend’s gift. The keychain holder is coin sized and the stainless steel with the captioning is 2mm thick and less than 1 inch in size. However, the words on the keychain speak stronger than the metal. It is ideal for girls of the age group of 14 years. Has a tiny bead over the keychain for look. Metal is stainless steel so it will not spoil. Captions shows strong friendship bond. Very small to see so it might easily get lost. Too small to read so have to take it close and read. This handicraft figurine of a brunette is best to keep all year long when the teen celebrates 14 years of age. It makes a great gift for friend or daughter or any relative or well wisher. It is also an amazing cake top gift when she is cutting the birthday cake while turning 14 years! She would love to have the special doll in the room. Best suitable length at more than half foot in length. Made by handicraft and hand painted. Gift wrapping available on amazon. It can make a good show piece item or paper weight on desk. This is the Only Doll for the Age 14 (other dolls are for different ages). At 14 girls start liking new things like jewelry, bracelets, make-up etc. This 7 pieces of jewelry set including 7 necklaces matching with 7 bracelets (for hands) and 7 clip-on earrings. This is best for girl teens who have not got ears pierced yet. It is an amazing set of many pieces that goes with most of the clothes in your wardrobe. 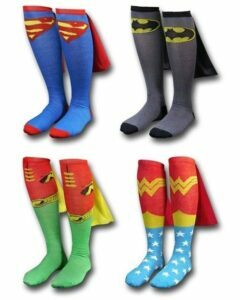 The 14 year old will be elated with each matching set to wear on different attire on various occasions. Comfortable, pretty & simple designs and not too gaudy ideal for 14 year kid. 7 necklaces matching with 7 bracelets (for hands) and 7 clip-on earrings. An ideal jewelry set to go with your wardrobe. Strong elastic bands so they will not break. Easy and fast to wear beaded jewelry. Check neck diameter measurements as it may choke if too tight. This is the best fancy gift you can give your growing daughter at age 14. There are variations with colors & style with price ranging from $16.99 to $23.99. Best suitable for fancy show or when friends come over to the house or to have fun family time together. Fits different head sizes. It is over the ear headset like a headband & a foldable ears headset. Reasonable long wire at 1.5 meters to attach to a device. Padded ear muffs for ear comfort. 3 light options – On, Off & Blinking effect. Only 18 to 20 hours of LED lights burning duration. This is an excellent gift for your 14 year old on how to wear make up. These soft nylon brush bristles will suit soft face skins. They are great as a showpiece on her vanity desk. The rose gold set of 10 brushes are of all sizes usable for a foundation, applicator, cream or cosmetic powder, eye make up, concealer and blusher. They are fashionable and come in a mermaid shape. It goes great with a three angled mirror given next. Thick handle to make sure it has a good grip while using. 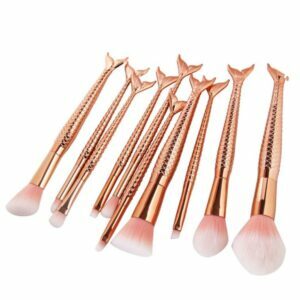 Fashionable mermaid shape and rose gold colored brushes. Washable materials with mild /baby soap & only cold water. Comes in a bag not a box. This is one of the most amazing gifts when girls aged 14 would want to see their faces in the mirror forever. There are great colors and shades to select from. Colors include sky blue, white, black, Grey, rose gold, silvery white, pink, etc. It is also the best travel companion and conveniently fits in a handbag or broad wallet too. It opens and reflects in different angels giving the reflection from different sides. This is a fashionable gift with LED lights and comes along with the battery. Comes in 12 -14 different colors and one different size variation. Folds up conveniently just like a fashionable purse. Battery included for LED light with on/ off switch. Requires a low – power CR2032*2 battery which is included. If gifting it may break in transportation. In such a case contact amazon. This is one fascinating gift for a teen who is growing up. It lasts for many teenage years and usage all through. There are several places to store jewelry including a closet type door to hang chains, bracelets, etc. There are three pull -draws to keep rubberbands, etc. It has a big mirror when it opens and plays Dance of the Sugar Plum Fairy while the fairy twirls beautifully. There are three options, two pink and one white. The one without the outer design has the best looking fairyqueen. Others have okay fairy inside but great designs on the out and white has ‘princess’ written on it. Three types of jeweler storage boxes to select from. Dance of the Sugar Plum Fairy tune plays when opened. Fairy twirls to the tune inside. Mirror on the lid of the box. Meets US & European safety standards / heavy metal content. Not for smaller kids as it can hurt them. If broken it may be risky to anybody. It supposed to be wood but some say it is cardboard. 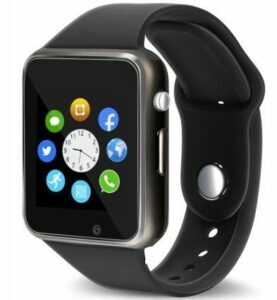 This smart wearable technology has several unique features all in a wrist watch! It supports bluetooth, iOS, and top mobile brands. (go through specifications on amazon) One of the best gifts to your friend/ relative as it reminds the youngster not to oversleep! It comes with USB cable, a user manual and an additional battery when this goes out. It is the best way to stay connected with friends & family. Remote cam has special features like focus & high definition so you can click from far. Activity tracker for fitness, sleep monitor to check oversleeping, and alarm notifications. In case you cannot find it, it will vibrate or sound alarm from 5.5 to 10m distance with anti – lost. The ‘Sedentary Reminder’ feature also checks fatigue or alerts about it. Send email/ texting SMS, make and receive phone calls with 2G Network SIM card. Has calender, gallery, music player to listen music, recorder & calculator. Comes with lifetime warranty. (Check with seller). 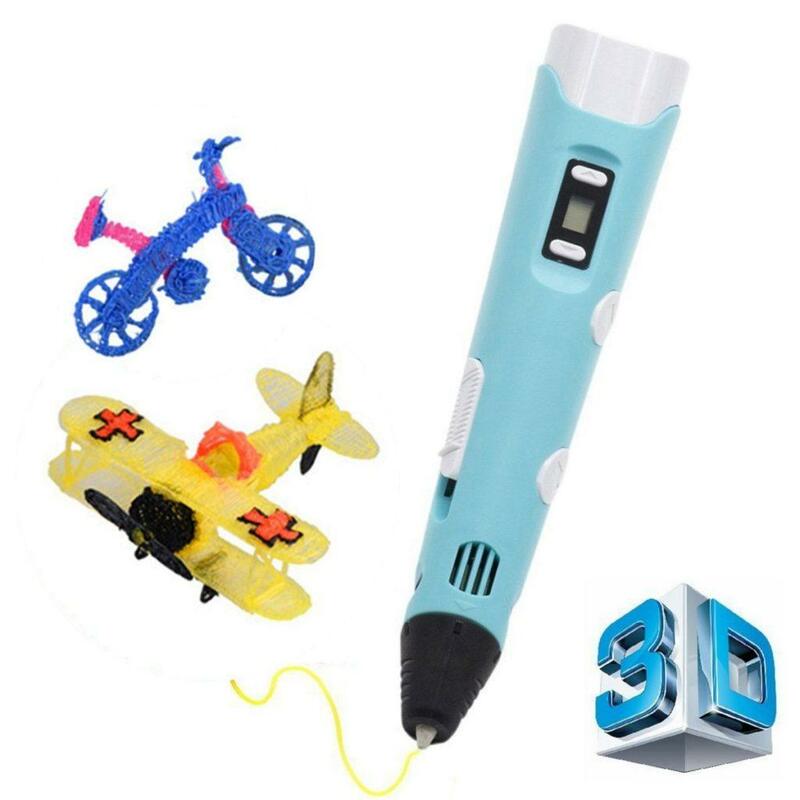 We have looked at loads of great gift ideas here, but the one which really stands out is the 3D drawing pen. It is a great gift for teen girls, as it is unique and loads of fun! Girls will have hours of creative fun with this pen, using it to create fun decorations for their room or even making gifts to give out to friends and family.